Subdivisions and general construction areas can all benefit from sub-grade improvement. The financial and environmental benefits are obvious but the reduction in construction time can be an even larger incentive to incorporate ground improvement into the project. 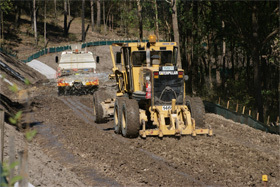 Sub-grade improvement has the obvious cost saving benefit of utilising previously ‘cut to spoil’ material, reducing the thickness of imported material for roads but also, selected fill can be significantly improved in the same manner offering even further savings to the bottom line of the project. The use of as much on-site material as possible thus reducing the trucking of material off site and better material back to site is a huge benefit in terms of cost and time. Improving ground below house and factory slabs is another way to substantially reduce costs and deliver overall benefits to general earth works. 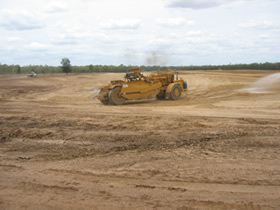 SEALS offers, the simplest and most cost effective ways to maximise your earth works dollar for these projects. We deliver a range of ground improvement methods other than stabilisation. These methods can save dollars for developers by often eliminating the need for removal and replacement of low grade material.